2-pole insert switch with remotely triggerable undervoltage release and 1-pole thermal overload protection. Machines in which the switch is e.g. 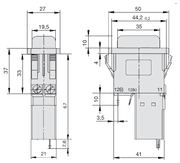 By thermocontact in the motor, limit switch, safety switch must be switched off. 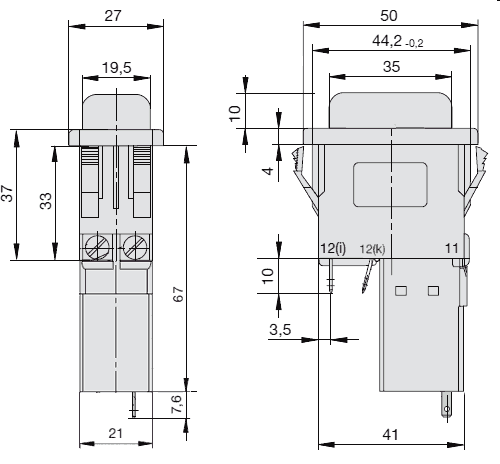 A typical application is choppers in which the motor must be switched off by a safety contact as soon as the opening for the chopping material is opened. This prevents you from reaching into the running knife. 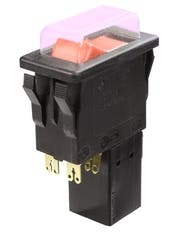 In principle, one has to look more closely at the Weber Unimat switches, since there are different versions which can not be read on the type plate. The switches may have to be opened in order to recognize the function. Connection 5 is a auxiliary contact and has no switching function. The routed coil connection des Weber Unimat WTN corresponds to the connection A2 dieses E-T-A switchs. 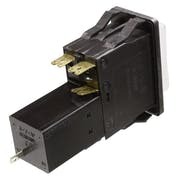 This switch is a suitable replacement for Weber Protection Amazonas ABTWR120E3. This switch was installed in e.g. Bosch shreddersn AXT 800, AXT 1800 or AXT 2000. 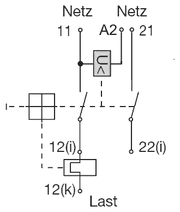 Power is applied to terminals 11 and 21. 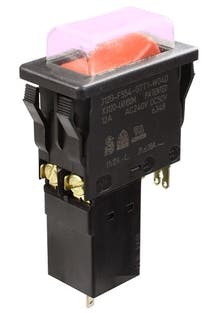 Terminals 12 (i), 12 (k) and 22 (i) are the load side terminals, with 12 (i) not having an overcurrent protection and 12 (k) protected.. It is important that voltage A2 is present at terminal A2, otherwise the switch will not switch. The voltage at A1 may be e.g. A thermal contact in the motor, an emergency stop switch or a similar device. 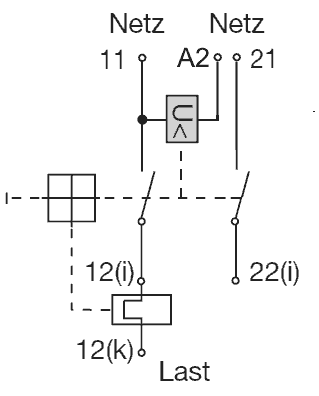 If there are no external switches, A1 must be connected to 21. If the mains voltage fails, a thermal contact or a safety device is tripped, the switch trips because the magnetic coil no longer receives any voltage. The switch must then be switched on manually. This prevents automatic restart after voltage recovery..